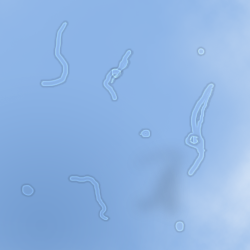 I've seen these worms since high school ... they are residing in my eyes, with different shape; some is thin and long, the other is fat and round. they are transparent black in colour. Do you see them as I do ? they normally called the floaters. Ever wonder what is the black dots or line on your eye? it's even more visible under a bright light. What causes floaters in the eyes? Floaters are tiny clumps of gel or cellular debris inside the vitreous (a jelly-like fluid) that fills the inside cavity of the eye. Although floaters appear to be in front of the eye, they are actually floating in the vitreous fluid inside the eye and they cast shadows on the retina, the light sensing inner layer of the eye. Moving our eyes up and down creates currents within the vitreous that move the floaters away from your direct line of vision. Floaters result from the normal ageing process when vitreous fluid degenerates. What can I do to prevent Floaters or Flashes? There are no ways to prevent floaters and flashes that are caused by ageing. However, you should always maintain good eye health and have your eyes checked frequently. If a floater appears directly in your line of vision, try moving your eye around. Looking up and down may also be effective in getting the floaters out of the way of your vision. What kinds of treatments are available for Floaters and Flashes? There is no treatment or cure for floaters or flashes. They usually diminish by themselves over time. When is it necessary to seek consultation?